It was early morning on Mother's Day. The sun had not yet risen, but Ferdinand and Nina were already busy. 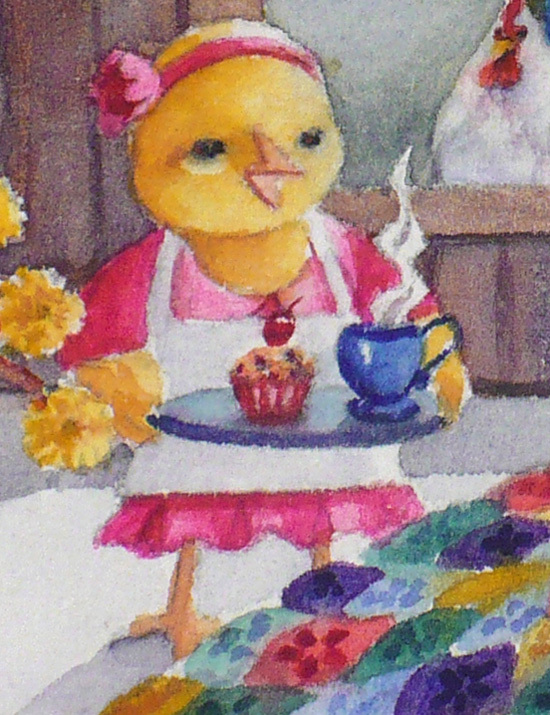 "You go look for some flowers," whispered Nina, "I'll make the muffin." They tiptoed about in order to not wake Mother Hen. They wanted to surprise her with breakfast in bed. 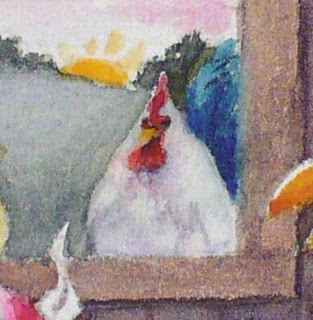 Even the big white rooster was in on the plan. He promised to wait until breakfast was served before he began crowing to greet the day. 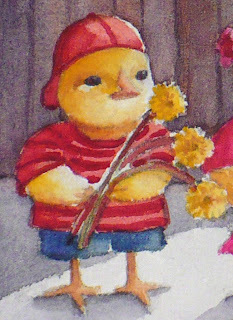 While Nina made a seed muffin, Ferdinand crept outside to look for flowers. After a while, he came back with a bunch of bright dandelions still damp with morning dew. "Those look good," said Nina nodding. "You carry those and I'll take the tray." 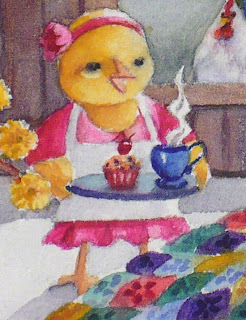 She topped the muffin with a bright red cherry and put it on the tray along with a cup of steaming chicory tea. Mother Hen was under her quilt. Her eyes were closed. If she heard their whispering, she did not let on. 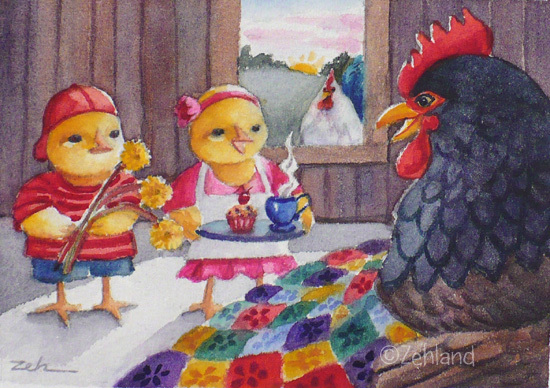 Ferdinand and Nina walked in with their surprise just as the sun came over the hill. "Happy Mother's Day!" they sang out cheerfully. Then the big white rooster crowed. 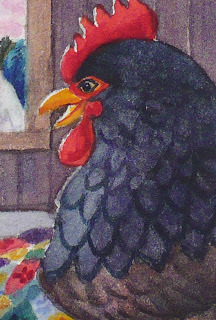 Mother Hen opened her eyes and sat up. "Oh my!" she clucked. "What a lovely surprise! Aren't you the best little chicks in the world." And she gave them both a big hug. Ferdinand and Nina beamed. It was a good start to a good day!